Home > Blog > Flashpoints > Breakfast: Important or Not? Of the three meals most people eat in a day, breakfast seems to enjoy a special status in our culture. After all, most people could tell you — without knowing how or why — it’s the most important meal of the day. Skipping breakfast, we’re often told, can hurt our mood and energy level and even lead to weight gain and heart disease. And, of course, there are studies to back all of these claims up. But a recent article makes the case that studies in favor of breakfast aren’t all they’re cracked up to be — and that breakfast might not be all that important, after all. In the article, published last week in The New York Times, the author — a professor of pediatrics — notes the problems with many of the studies on the topic. A 2013 review of studies on breakfast in The American Journal of Clinical Nutrition, for example, found that many studies seem to suffer from publication bias — meaning that they improperly describe other research, and even their own findings, as stronger than they really are. Many studies claim to show that skipping or eating breakfast causes certain outcomes, when in fact they only show a correlation between actions and outcomes. 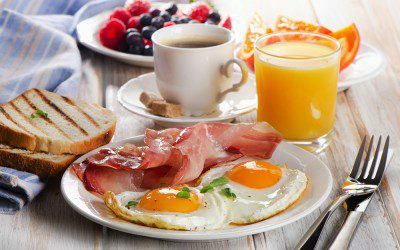 In these cases, outside factors could explain why certain people eat breakfast and also why, for example, they lose or gain weight. Another problem is that many studies on breakfast have financial conflicts of interest — which is to say they’re funded by the food industry. A 2003 study, for example, that found eating cereal for breakfast was associated with being thinner was funded by the Kellogg Company. And a 2014 study funded by the Quaker Oats Center of Excellence found that skipping breakfast was associated with an increased cholesterol level (but also, in that study, weight loss). To make things really confusing, another 2014 study found that getting people who normally skip breakfast to eat it — or those who normally eat it to skip it — made no difference when it came to weight loss. But in a 1992 study that followed the same concept, both groups ended up losing weight. Needless to say, there’s no clear pattern here. Here at Diabetes Flashpoints, we’ve noted in the past that many people with diabetes are advised — and many find it helpful — to eat a large breakfast, a medium-size lunch, and a small dinner to optimize blood glucose control. And a 2013 blog post by Digital Editor Diane Fennell outline a study that found that skipping breakfast can lead to increased insulin resistance in overweight and obese women, potentially increasing the risk of developing diabetes or worsening blood glucose control in people with diabetes. But another post from that year also noted that skipping breakfast may make it easier to consume fewer calories and lose weight. What’s your view of breakfast — do you eat it because you’re hungry in the morning, or because you think or you’ve been told you should eat it? Have you noticed any positive or negative effects from skipping breakfast, either in the short or long term? Does what you eat for breakfast have a noticeable impact on your mood, energy level, or blood glucose control? Leave a comment below!